Home Abacus Info What Are the Benefits of Abacus Franchise? You may gain a gamut of added benefits of Abacus Franchise that are sure to persuade you to apply for the franchise program. One of the major benefits of Abacus training program is – making mathematics meaningful, useful and fun for the children in all grades. It is also the best source of increasing power and sharpens overall mental formation for better academic and brain results. 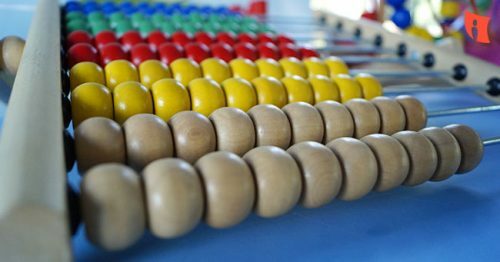 Computation, lateral thinking, increased interest in math, better concentration, better auditory skills and various other common benefits are common with Abacus Franchise. Abacus Franchise program will be helpful for your college, school or coaching center to make mathematics a fun for the students of all grades. You will get all the necessary tools and techniques or access to programs that will help you in building a positive attitude towards math. Regular practice and focus on Abacus will help you in keep patience and help in getting a better tomorrow. Abacus training program will help students to start visualizing the movement of points in mind. They will get good concentrating capabilities that ultimately start applying logic in their everyday lives. It will provide students having excellent auditory skills along with photographic memory. In addition to this, they also listen to numbers, visualize the abacus in mind and solve the problems in a successful way. It helps in building a strong memorizing capability in the students. You will gain a gamut of added benefits of Abacus franchise program. Here, what is more important than anything else is to find the right institute that has been offering you Abacus franchise program. Rajmin Academy has been offering you Abacus franchise program to help students improve their skills in Mathematics.